American Premier Storage ("APS") was built in 2006 with 324 Storage Units and a Four (4) Suite Office Building that fronts US Hwy 60 approx. 1 mile from Calvary Chapel Church and Cox Medical in Republic, MO. There are approx. 50 outside parking spaces for RV's, boats, trailers, etc. The entire Six (6) Acre complex is fenced, lighted and has 19 surveillance cameras. There is a key code entry gate access system for security. The facility is also a FED EX Shipping Center and an authorized U Haul Truck/Trailer Rental Facility that generates traffic to rent storage units and an important additional income source. 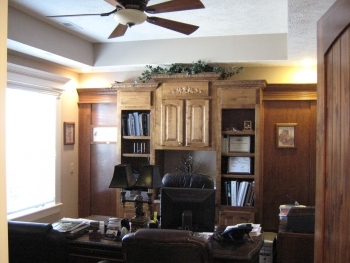 Above the Office is a beautiful two bedroom/two bath apartment unit for an onsite Manager. Also, a large electronic sign next to US Hwy 60 is great for marketing the facility. Republic/Billings is in the Springfield, MO SMSA with approx. 450,000 people. Greene and Christian Counties as part of the Springfield SMSA have generated more jobs in the past decade than any other SMSA in Missouri. The Dailey traffic count on US Hwy 60 exceeds 27,000 cars. Full finanancial information is available with a signed Confidentiality Agreement. Please contact Broker at (417) 888-5000, or Email: gstephens@stephenscres.com.